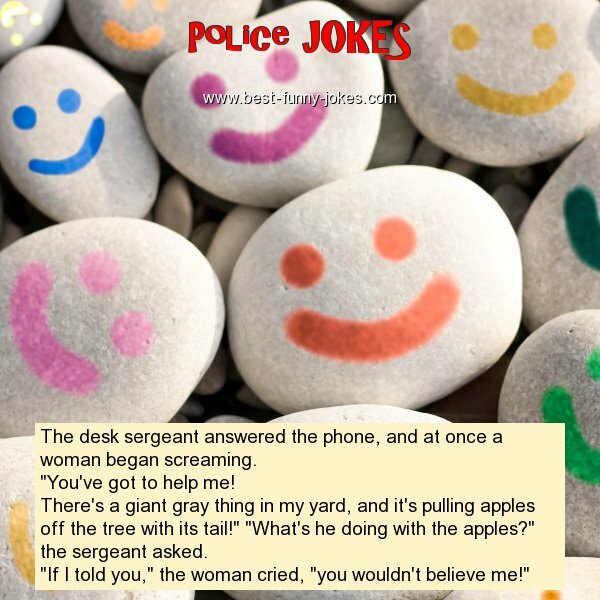 The desk sergeant answered the phone, and at once a woman began screaming. "You've got to help me! There's a giant gray thing in my yard, and it's pulling apples off the tree with its tail!" "What's he doing with the apples?" the sergeant asked. "If I told you," the woman cried, "you wouldn't believe me!"